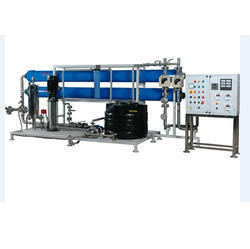 We are a leading Manufacturer of reverse osmosis plant, mfg ro plant, ro plant, industrial ro plant, commercial reverse osmosis plant and 500lph commercial ro plants from Chennai, India. With the support of our team of professionals, we have been able to manufacture, export and supply Reverse Osmosis Plant. 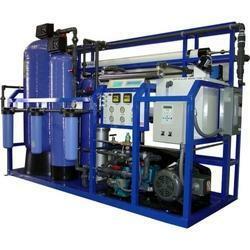 Our range of reverse osmosis system and reverse osmosis equipment is manufactured using the membrane technology. Owing to its quality features like strong design, excellent performance and corrosion resistance, this product is widely acknowledged by our clients from every nook corner of the world. The offered product is made available in a range of customized options. RO Plant used for the purpose of water purification, the offered RO Plant is known to be one of the finest that is available in the market. Owing to the high-grade raw materials and technology used for manufacturing this, the offered plant provides a highly commendable functionality. This product is offered to clients at the best rate possible. Reverse osmosis separation technology is used to remove dissolved impurities from water through the use of a semi-permeable membrane. RO technology involves the reversal of flow through a membrane from a high salinity, or concentrated solution to the high purity, or "permeate", stream on the opposite side of the membrane. Pressure is used as the driving force for the separation. The applied pressure (P) must be in excess of the osmotic pressure of the dissolved contaminants to allow flow across the membrane. 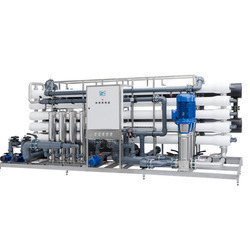 Reverse osmosis (RO), also known as hyper filtration, is used by our Commercial Industrial Brackish Water Seawater Reverse Osmosis Systems to purify water by removing salts and other impurities. It is also capable of rejecting bacteria, sugars, proteins, particles, dyes, and other constituents that have a molecular weight of greater than 150-250 daltons. Owing to our vast experience and knowledge of this domain, we offered supreme quality RO Plant to our valuable customers. These plants are highly demanded in water purification applications due to their optimum efficiency and minimum maintenance. Offered plants can be customized as per the requirements of our prestigious customers. 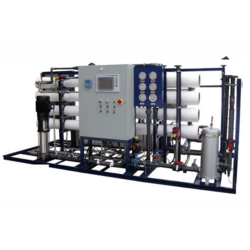 We offer the Reverse Osmosis Plants in standard capacities ranging from 200 LPH to 4000 LPH, however, higher capacity plants can be offered as per requirement. RO plants are normally used to remove almost 99% ionic as well as organic load. Semi or Full auto operations. 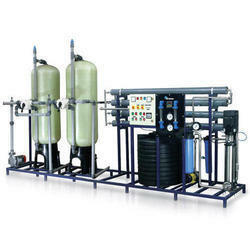 We are an acclaimed entity, engaged in offering a wide plant of Reverse Osmosis Plant. Being a quality-conscious organization, we assure our clients that this plant ensures hassle-free performance and long working life. Our adept professionals only utilize fine quality components and sophisticated technology, while manufacturing this plant. Moreover, our offered RO plant can be availed within the committed time-frame at pocket-friendly prices. We offered superior quality customized Industrial RO Plant across the globe that is used in various industries and homes. 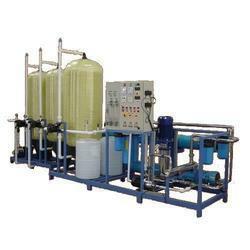 RO plant uses a reverse osmosis process where two solutions having different solute concentrations are separated. Using osmotic pressure, high solute concentrate solution is passed through a semi-permeable membrane. Being highly effective, user-friendly, and resistant to chemicals & corrosion, our plants are extremely popular among the clients. Utilizing the advanced technology and machines, we offer water purifiers, which is widely used for the domestic water purification. It makes the water suitable for drinking and everyday usage like drinking, bathing, cooking and washing etc. Canadian clear is best suited for houses, residential apartments, corporate houses, multi storey buildings, offshore rigs, educational institutions, hospitals and hotels etc.Canadian clear health benefits prevents water borne diseases like typhoid, dysentery, cholera, prevents hair loss, prevents discolouration of skin & teeth etc. Canadian clear internal care by removing lead, bacteria, cysts and organic chemicals you minimize the risk of cancer, anemia, kidney damage and high blood pressure. Healthy body makes a bright mind. Eliminates rusting to large extent. Canadian clear added advantages are stored in stainless steel tanks of SS 304/316 to maintain maximum hygiene thereby reducing risk of water borne diseases and point of use UV for drinking water. 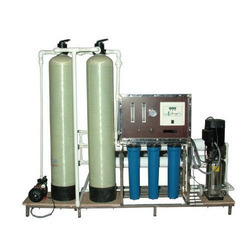 We offer commercial reverse osmosis Units which consists of 6 stages of water purification using multimedia filter unit, Activated Carbon Filter Unit, water softening of Anti Scalant Dosing System, 5 Micron Cartridge Filter unit with RO Membrane purification through 0.0001 Micron rating Membrane Filter and post-purification of UV sterilization. Water purified using the System is free suspended impurities, Organic impurities, all unwanted salts, Heavy Metals, bacteria and virus, Pesticides etc. etc. Widely used in for Borewell (Heavy salts) water applications. 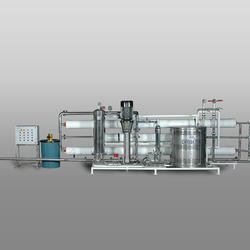 We are well-known manufacturer of an advanced Commercial RO Plant. This plant is precisely deigned by our professionals using high quality raw material and latest technology. Our offered range finds application in commercial sectors for offering pure drinking water. Our manufacturing unit offered this plant in various specifications to our precious clients at market leading prices. By capitalizing the skills of our professionals, we are able to provide high quality Commercial RO Plant to our esteemed clients. Manufactured with the premium quality components, we offer this Commercial RO Plant as per the exact choice of our customers. These offered plants are used for treating commercial water and provide the pure and fresh processed water that covers a variety of applications in various industries. Undertaking the market leading quality procedures, our quality analysts check Commercial RO Plants on various stringent quality parameters in order to provide the flawless range to our esteemed patrons. With the help of our experienced professionals, we have been able to manufacture and supply an effective range of Industrial RO Plant. 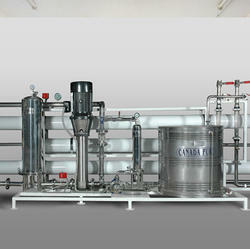 This plant is utilized to filter large amount of water and finds application in big industries and companies. In order to meet various requirements of clients, we offer this plant in standard as well as in customized form as per clients requirements. We excel in manufacturing and exporting a qualitative range of Industrial R.O. Plants. These plants are widely demanded by large number of clients owing to precision engineering, compact size and high performance. These plants are easy to install and ensures less maintenance cost. 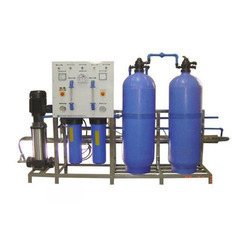 Manufactured as per world class standards, these plants find wide application in different organizations and industries for large scaled water purification. 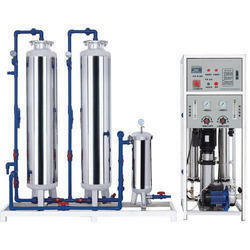 We are well known enterprise engaged in developing revolutionary quality Reverse Osmosis Plant. 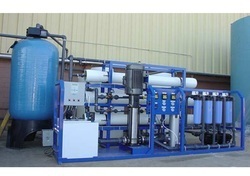 The latest filtration technique of reverse osmosis makes these plants highly reliable and widely demanded. We utilize premium grade membrane material to desalinate the water, which result is odorless water with effective removal of bacteria and hard minerals. The offered plants are developed with compliance to set industry standards and can be ordered from us in Duplex SS or FRP construction at a nominal price. We are leading manufacturer of Reverse Osmosis Systems in Chennai South India majorly. We are engaged in offering durable reverse osmosis systems and NF systems that are extensively used for treating water from the impurities. These RO/NF systems facilitate in creating membrane based physical separation process, which works on a pressure has driven chemical-free technology. We bring cost effective solutions for color and salt contaminated water through our Reverse Osmosis Plant. No chemical residue is leftover in the final treated water. CCRO - 25 BW 250 LPH 5000 Ltrs./day approx. CCRO - 50 BW 500 LPH 10000 Ltrs./day approx. CCRO - 100 BW 1000 LPH 20000 Ltrs./day approx. CCRO - 150 BW 1500 LPH 30000 Ltrs./day approx. CCRO - 200 BW 2000 LPH 40000 Ltrs./day approx. CCRO - 300 BW 3000 LPH 60000 Ltrs./day approx. CCRO - 400 BW 4000 LPH 80000 Ltrs./day approx. CCRO - 500 BW 5000 LPH 100000 Ltrs./day approx. CCRO - 600 BW 6000 LPH 120000 Ltrs./day approx. CCRO - 800 BW 8000 LPH 160000 Ltrs./day approx. We are an esteemed company that manufactures Industrial RO Plant that are highly demanded and admired amongst the customers for their top notch quality and ability to remove impurities from water. These are manufactured using high grade raw material with the help of advanced tools and modern technology. 500 LPH RO Systems are very easy to clean and operate ensuring complete customer satisfaction. Our organization specializes in manufacturing and exporting RO System. Manufactured employing the latest technology, the systems offered by us are widely used for domestic purposes. These systems are manufactured using the high-grade raw material, which is procured from the authentic vendors of the market. 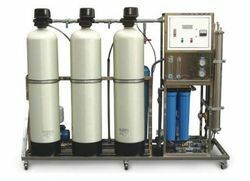 The Reverse Osmosis Systems are engineered to economically produce high purity water by removal of dissolved minerals, bacteria, particles, and organic impurities. All membrane systems are manufactured in a skid/frame design providing for ease of installation with minimum floor space requirement. Constructed of welded structural carbon steel tubing, finished with corrosion resistant epoxy paint coating. Stainless steel fastener hardware is standard for corrosion resistance. Pre-filtration of the membrane feed is standard on all systems. The filter housing is constructed of 304 stainless steel or per client specifications. Filter cartridges are pure polypropylene with a 5.0-micron nominal rating. Standard pressure pumps are constructed 316 stainless steel housing with a glass filled Noryl and Lexan Impeller Pumps are equipped with TEFC motors wired for 230 / 460 V AC voltage and rated for the full load, continuous duty. All systems feature membrane pressure vessels constructed of fiberglass reinforced polyester (FRP) with 316 stainless steel side-entry feed/concentrate ports. Standard vessels have a white polyurethane finish. ASME code stamping is available on all pressure vessels. Standard reverse osmosis (RO) membrane elements are high rejection, thin-film composite (TFC) type in a spiral-wound configuration. Membrane elements are tested at 99.5% average salt rejection. All membrane elements carry a three-year warranty against defects in quality and workmanship. Operations of the system are automatically controlled through a comprehensive programmable logic controller (PLC) package housed in the NEMA-4 industrial electrical enclosure. The control system also includes a pre-wired motor starter, operator switches/pushbuttons, and status/alarm indicator lights. Standard systems include the following isolated alarm conditions:– Low inlet pressure– High pump discharge pressure– High-RO product conductivity. All membrane systems are completely pre-piped to the fullest extent and are installation ready. The following valves are provided as standard for accurate flow/pressure control and convenient operation:– Automatic inlet valve to prevent water flow through machine during shutdown– Pressure pump discharge throttle valve– RO reject/recirculation flow control valves– Automatic system flush valve for prevention of membrane fouling and scale formation– Pre/Post cartridge filter housing isolation valves– Inlet, product, and reject sampling valves– Isolation valves and blind ports for use with membrane cleaning systems. 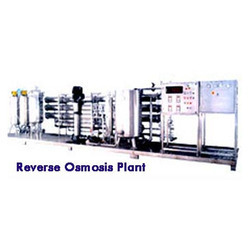 Reverse Osmosis Plant is widely used for removal of dissolved chemical impurities from brackish & seawater. Reverse osmosis is the process of forcing a solvent from a region of high dissolved solids concentration through a membrane to a region of low dissolved solids concentration by applying a pressure in excess of the osmotic pressure.The semi-permeable membranes used for reverse osmosis have a dense polymer barrier layer in which separation takes place. RO Plants are designed for a variety of industrial & commercial applications requiring high-quality equipment with a fast delivery and competitive price. These pre-engineered, pre-assembled and factory tested units minimize installation and start-up time. With simple utility connections and easy to set up controls, the unit is ready for quick on-line service. The control system is an advanced microprocessor based system that is very easy to use. 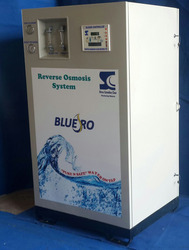 Reverse osmosis is water purification process in which pretreated & filter water is connected to the high-pressure pump where the pressure is developed and fed to the RO membranes.Reverse Osmosis membranes work on the Crossflow Filtration method where the salts get rejected partially and deliver pure water. Purified water is referred to as product and waste water is referred to as concentrate or reject. The percent of the water delivered as the product is called the recovery. The ratio of recovery& output parameters depends on the feed water quality, type of membrane, temperature and total RO unit design considerations. This is owing to our rich industry experience and use of advanced technology that we have developed an optimum quality range of Reverse Osmosis ( RO ) Plants. Manufactured with the latest technological advancements, these RO Plants are highly efficient in performance, sturdy in construction, and require low maintenance. 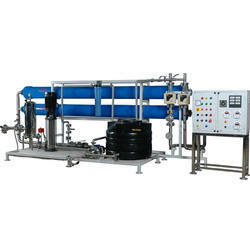 We provide best quality RO Plant due to our vast experience in this domain. Equipped with the semi-permeable membrane, these plants are widely used in water purification applications. Owing to their optimum performance, minimum power consumption and enhanced functional life, these plants are highly demanded in food processing and allied industries. 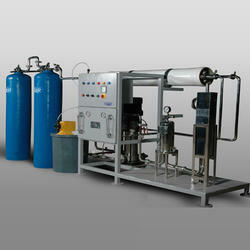 Our organization specializes in manufacturing RO Water Plant. Manufactured employing the latest technology, the systems offered by us are widely used for domestic purposes. These systems are manufactured using high grade raw material, which is procured from the authentic vendors of the market. 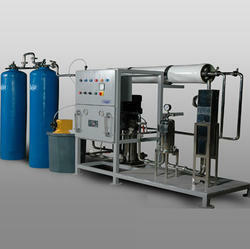 Backed by a diligent team of professionals, we have been able to manufacture a wide range of quality assured RO Plant. Chasing international norms, we manufacture the offered plant by utilizing contemporary technology and premium quality material. In instruct to ensure quality, this plant is carefully tested upon a cycle of quality parameters. Distant from this, we tender the offered plant in various specifications as per the diverse needs of our clients. The product range has backing from one of the world leaders in Reverse Osmosis plant with a proven technical background. The reverse osmosis system offered are ideal for treating of raw water carrying over 1500 MG/LTR total dissolved solids. The Anti Scalent Dosed water passes through the 5 Micron filter to the state of art Reverse Osmosis Unit. The RO membrane reduces the total dissolved solid of water to less than 5 PPM. The RO Unit is specially skid mounted in a compact powder coated system. The membrane used in the RO system are state of art Polyamide membrane manufactured by M/s. Canadian Clear. The membrane housing are made of high pressure resistance fiber re-enforced plastic (FRP) or SS and manufactured. The system comes complete with high pressure Canadian Clear pump manufactured by us, which is totally SS 316 material of construction as well as high pressure and low pressure cut off switch, flow indicator for rejection and product water high pressure solenoid valve and control panel. The advantages of the Polyamide membrane to any other membrane offered is cast. As the membrane is superior to any other RO membrane available in the market, Nano filtration or ultra filtration is not required for post RO system. We provide high quality RO Plant that is widely used for drinking as well as industrial water treatment. Our RO Water Plant is developed from the optimum quality raw materials keeping in mind the national and international quality standards. 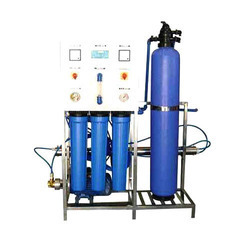 Reverse osmosis plant removes microbiological impurities, dissolve salts, pesticides, chemicals and many other dissolved solids from the water. Water is purified by reversing the process of osmosis membranes are used to completely remove the dissolved solids contaminants biological and chemical impurities upto 0.0001(1 micron = 1/1000mm) from water. The RO Treatment Plant is considered as the most economical solution for the water treatment process in any commercial or industrial establishment. Separating the contaminants and non-essential and corrosive salts, metals, chemicals etc from the water, the treatment plant is engineered using hi-tech technology. The RO plant manufactured by us ensures to give a high quality output of TDS in the water. Ours is an illustrious organization that is involved in manufacturing technologically advanced Seawater Reverse Osmosis Plant. This plant helps in producing fresh potable drinking water out of brackish and seawater. In this plant, seawater is processed under high pressure through semi-permeable membranes, removing salts, contamination and pollution, leaving potable water as output. 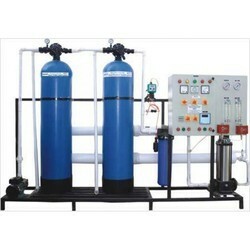 As per the requirement of our customers, we bring forth a wide array of Domestic Water Purifier. Our range of Domestic Water Purifier is formulated using latest technology to meet high performance and reliability. 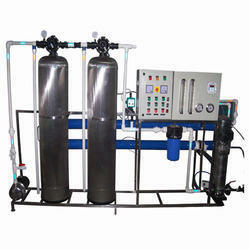 Furthermore, Clients can avail these Domestic Water Purifier on most affordable prices.